Two day workshop with your tutor. Lunch, morning/afternoon teas both days. Free access to Berry Quilting Exhibition and Traders' Hall. Accommodation, Travel and personal insurances are NOT included in your Retreat package. An invoice for payment will be sent by email after your Registration is received. The Retreat Fee can be paid as a non refundable deposit of $200 within fifteen days of date of invoice with the balance to be paid by 30 June 2019. Please note: Registration without payment does not secure your place in class. ​Registrations are open until Friday 9 August 2019 subject to availability. $200 is non refundable in the event of your cancellation on or before 30 June 2019. Full Retreat Fee is non refundable in the event of your cancellation after 30 June 2019. 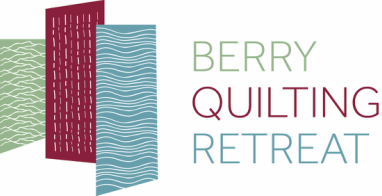 Berry Quilting Retreat reserves the right to cancel a workshop due to lack of numbers or unforeseen circumstances. In this situation you will be given the opportunity to register in a different workshop or receive a refund for the workshop at the close of the retreat. Under any circumstances Berry Quilting Retreat is not responsible for any additional expenses incurred to attend the Retreat, such as accommodation and/or travel expenses. Please provide first and second workshop preferences. Workshop places will be allocated in order of receipt of payment for the Retreat. I agree to attend Berry Quilting Retreat 2019 including workshops, presentations, events & activities at my own risk. I will not make claim for personal injury, loss or damage to property or for any other reason against Berry Quilting Retreat P/L, the organisers, employees, contractors & volunteers. I hereby allow Berry Quilting Retreat P/L to use photographs of myself and my work while participating in all workshops and events for future promotion of Berry Quilting Retreat. I accept that my contact details will be kept on the Berry Quilting Retreat database until such time as I request them to be deleted. I accept that under any circumstances Berry Quilting Retreat is not responsible for any additional expenses incurred to attend the Retreat, such as accommodation and/or travel expenses.